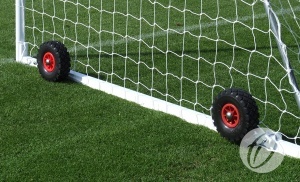 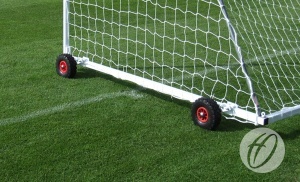 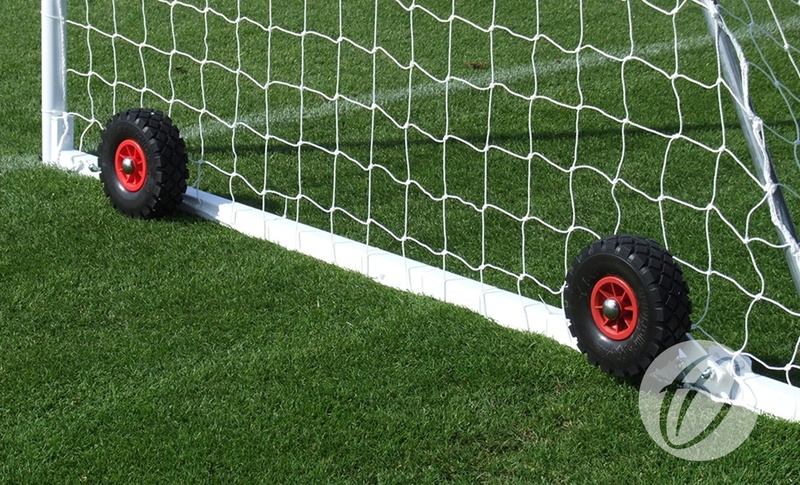 Flip-over wheels designed for use with the heavy weight free standing Harrod UK goal. 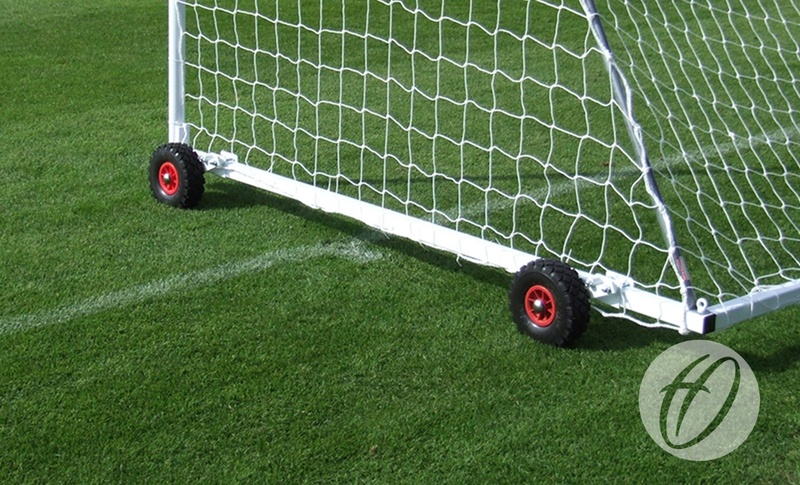 Once wheels are engaged, goals can be safely moved by four adults. 260mm diameter cellular rubber wheels complete with 'U' bracket that bolts to bottom sidebar. 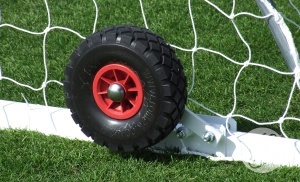 Cellular rubber wheels are puncture proff and do not require inflating.